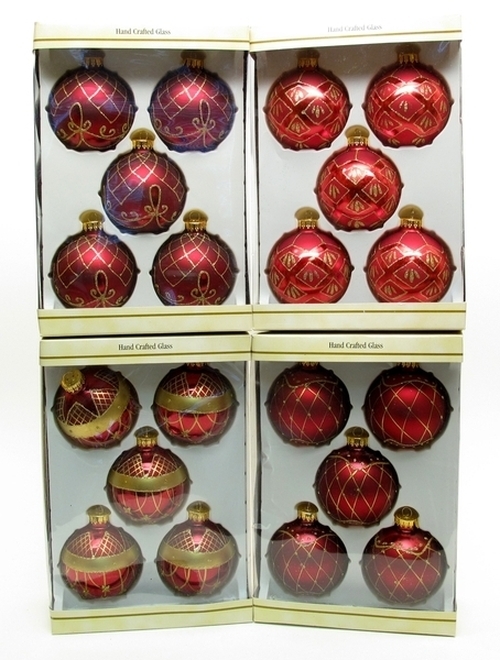 Ornament 67mm Glass Ball 5CT Burgundy with Diamond/Net Design - Four assorted designs, price each. Our choice, or buy four and we'll send one of each. Gift boxed.